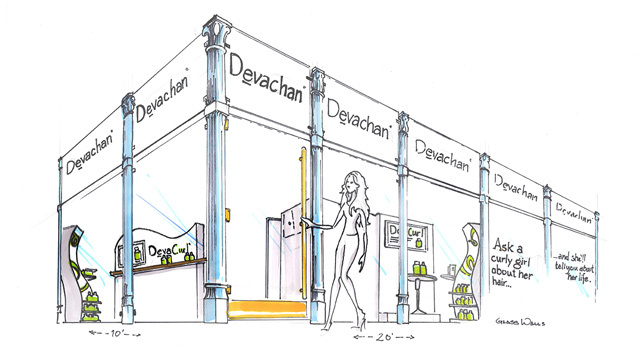 Ron Voller of LDJ Productions hired ERA404 to illustrate booths for Devachan Salon’s traveling sales booth for trade shows. 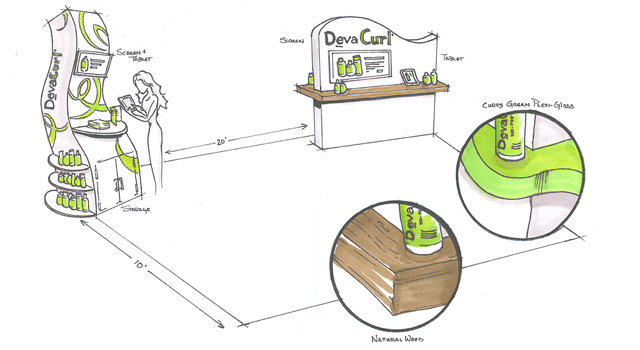 Conceptual sketches quickly visualize multiple ideas for clients without spending excess cost and time on to-scale CAD renderings or 3D modeling. Typically, upon the client’s approval of a direction, ERA404 will then create architectural renderings of the selected pieces.